LP version. Michael Beharie (New York) and Teddy Rankin-Parker (Chicago) first met while attending Oberlin College. Since graduating, Beharie and Rankin-Parker each veered into markedly different avenues. In addition to a consistent output of solo releases on NYC-label Astro Nautico, Beharie also recently joined up with the ever-confounding New York ensemble Zs, recently performed on albums by Laurel Halo, Greg Fox, and Colin Self and is a regular composer for dance and film. Rankin-Parker became an in-demand cellist for his prowess in the work of improvisation, avant-garde music, and the more exploratory realms of indie pop, lending his talents to a wide array of bands and collaborators, such as Primus, Iron & Wine, Steve Reich, Pauline Oliveros, Glen Hansard, Father John Misty, International Contemporary Ensemble (ICE), Chicago Sinfonietta, and Nicole Mitchell's Black Earth Ensemble. But after a decade of geographic distance, the duo came together to write and record its collaborative debut, A Heart From Your Shadow. 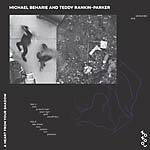 Rather than jump into stream-of-conscious improvisation, Beharie and Rankin-Parker chose to focus the album's themes via intricately composed pieces. The end result could be described as protest music, brimming with intense energy, harrowing anxiety, and steadfast optimism. All of this finished with a few hired hands: produced by Michael Beharie, mixed carefully by Jim O'Rourke and mastered by James Plotkin. "Intro" sets the grim scene and issues the album's M.O. A doom symphony of urban anxiety, the song shows the expansive efforts this duo is able to accomplish. 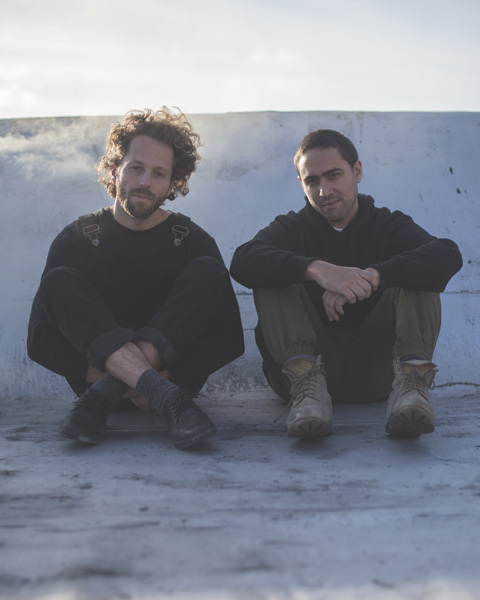 "Gully" offers muted mayhem that's highly synchronized and militantly percussive. It's an anguished two-step of hope and hopelessness. The hyper-repetitive patterns almost hypnotize you into a zoned-out stupor. "Icon" is a psych-freak out of sorts, but the bombast is counter-balanced by intermittent breaks of ambient compositions. There's a deeper layer still, shown in "Smooth Face", equal parts meditatively uplifting and unsettlingly dissonant. Inner and outer anxieties resonate with actual police sirens in a swirl of tonal turmoil. "Fake Money" is a relatively laid-back drift down a river littered with musique concrète, rustic drones, and effects pedal. "Roses" veers into backlit kosmische anthems. Midway through the track, things drop out completely into an open, fog-covered scene cloudy with keyboard-vocal tones. Closer "Petaluma" offers a sweet and sincere coda, chasing a fleeting moment of spontaneous beauty. The orchestration chaos and permeated distortion of A Heart From Your Shadow is largely about healing, not fear.